Officer involved shootings have been prominent in the news in recent months. The issue is a sensitive topic and one that needs to be handled with care and concern. It is not always clear who is in the wrong. Here at Liquid Pictures we have worked with a number of police agencies to show their side of the story. Including, recently, for a southern California city, to show how the victim was using his car with deadly force. 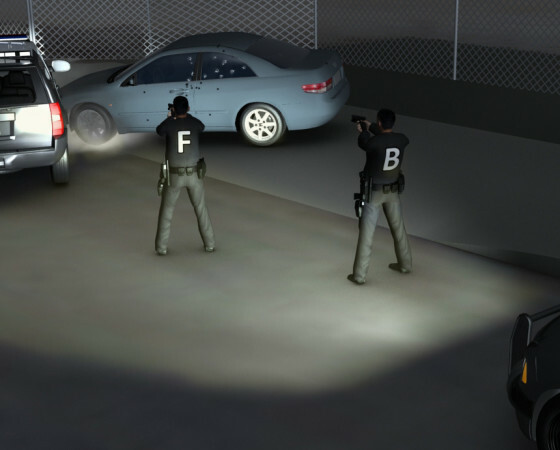 Working closely with experts, using independent testimony from the police officers and other witnesses, surveillance video and site photography, we developed a reenactment that is the best representation of what actually happened. The legal process requires information in order to make decisions. Our reenactments give visual information so that the correct decisions are made.